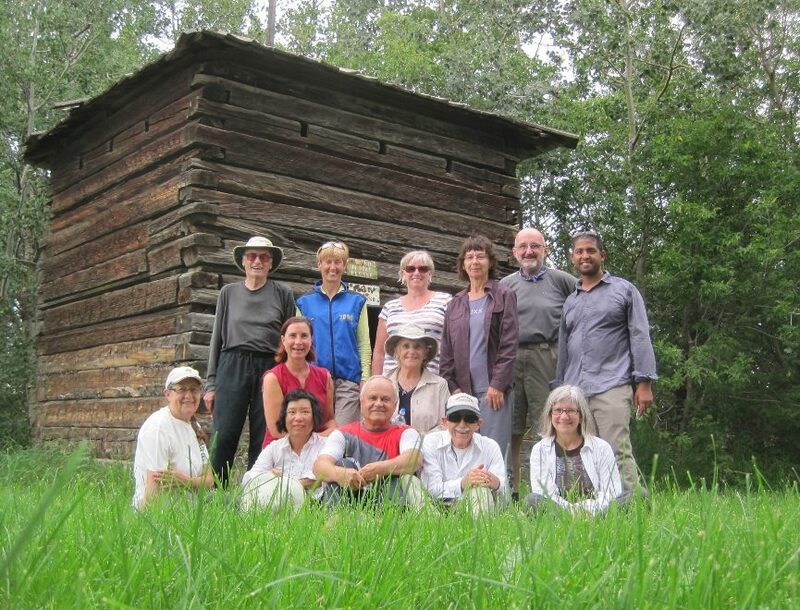 The hike from Fort Ethier along Bigstone Creek gave us a big taste of agriculture up close, and the opportunity to test our stamina. The trail starts with a herd of alpacas in the distance, but we held off taking pictures–because later, we would get much closer. Instead, we took the first of many descents to the creek level and climbs out of the gorge. 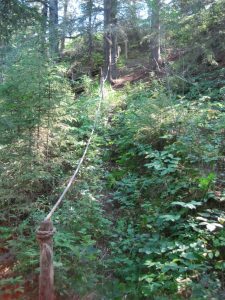 More than half the slopes have rope “handrails”, which if you don’t have hiking poles, you really need. But we all agreed: the views are worth it. 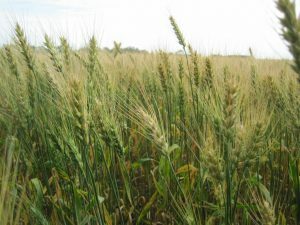 Along the top of the slopes, we walked next to fields of wheat and rye, the stalks standing like soldiers, uniformly capped with rich full heads of grains. The sight got us home bakers talking about the craft of breadmaking. Perhaps the brewers among us were thinking along those lines too. We walked along several pastures. In normal years these fields are grazed down to the height of lawn. But with this year’s plentiful rain and sun, the grass has been growing rapidly. It’s like the cows can’t eat fast enough to keep the pastures trim. Nature never fails to let us know who’s in charge—and we experienced a jolt of the worst kind. Half the group had proceeded past a log—and a small hole in the ground—when a force of bees rose up out of the hole and attacked. Anita was stung 15 times, Bonnie 4 times, and Rupak once. The victims still felt they were fine to carry on. 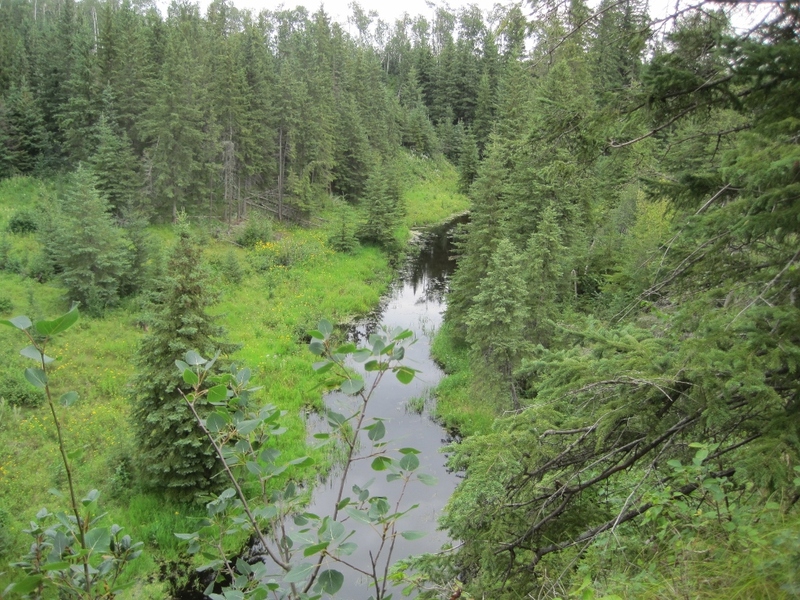 We took a good long rest for our lunch, at the confluence of the Bigstone and Pipestone Creeks. On the way back, we were very careful to skirt around the bees’ nest. When we arrived at the end, we got closer to the alpacas in their pen. In fact, they are such curious animals, they approached us as we came into view. Aren’t they incredibly sweet with their recently shorn coats? 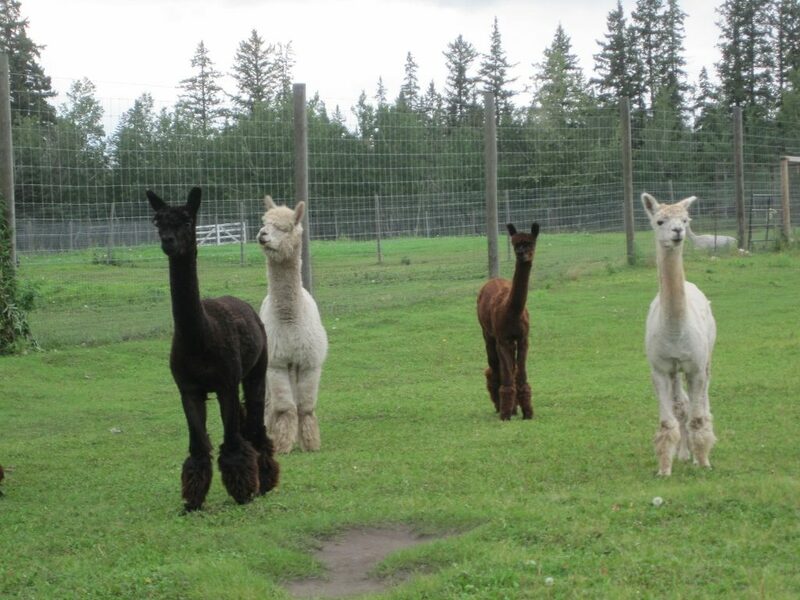 You can buy the wool products from these particular alpacas at Fort Ethier Alpaca Beauties on Facebook. 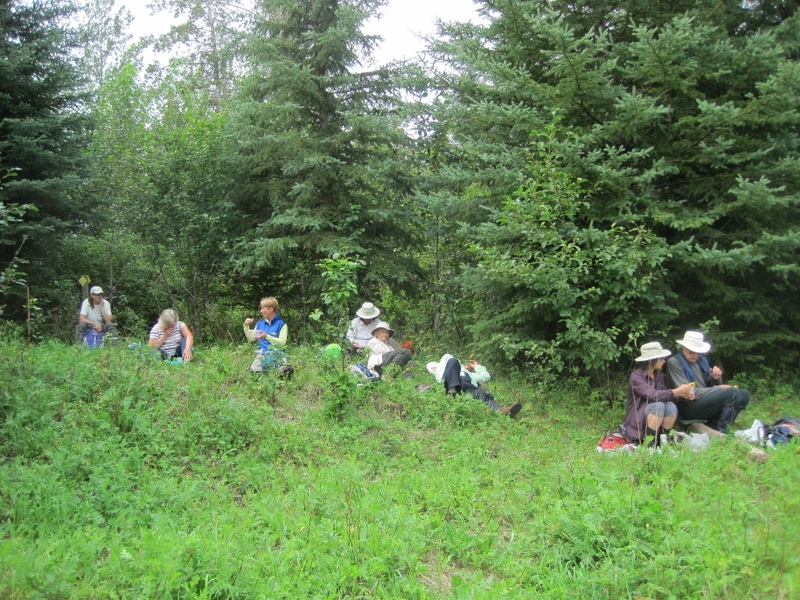 There were 13 of us on the 11 km hike. Here we are at the remnant tower of the old fort. You can find more of our pictures at our Flickr site.